with the Trustees of the Society. To honor a group of Swiss citizens celebrating their birthday – 80th, 85th, 90th and onwards, the Swiss Benevolent Society hosted on 14 June 2018 the Society’s Annual Afternoon Tea Party held at the Swiss Embassy. It was delightful to celebrate our guests birthdays all together and to see everyone enjoying the interactive conversation session with the Ambassador, musical entertainment, Swiss wine, English High Tea and new acquaintances. 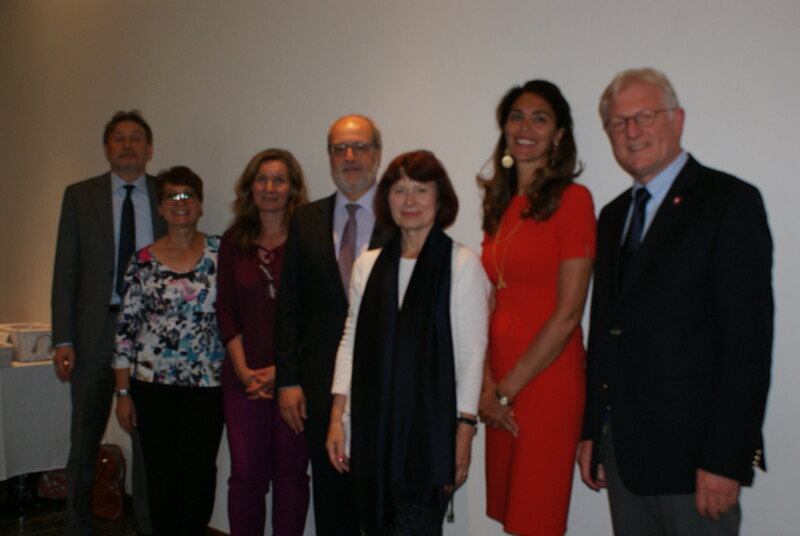 We, the Trustees, were enchanted by the many beautiful stories shared by some of the 68 guests, openly speaking about their Swiss history and how they came to live in London. 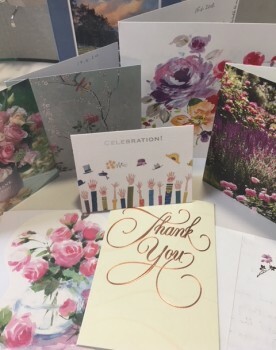 We have already received many thank you notes; and on behalf of the Swiss Benevolent Society, it genuinely was our pleasure to spend the afternoon celebrating a special milestone birthday with you. It was lovely to meet you and on behalf of all three of us I would like to say ‘thank you’ for making it possible and that we had a lovely afternoon and thoroughly enjoyed ourselves. Everyone made us feel so welcome and we felt proud to be Swiss. Thank you again and hopefully see you in another five years! With very best wishes D., K.
Thank you for a wonderful afternoon meeting so many compatriots and catch up about our “long lives” in the UK. It will stay in my memory forever! Just a few words to say many grateful thanks for the lovely Tea Party you so kindly arranged for us all. It was very nice to see Petra, she visited me several times in my old house and in my little flat, Petra is so very kind. It makes me proud to be Swiss. Many thanks to all your team. Ps. Also my son enjoyed the afternoon. Thanks to the Ambassador to talk to us. Just a quick line to say thank you for the wonderful Tea Party at the Embassy earlier this month. Stephanie and I enjoyed it very much. We look forward to seeing you next year! Best wishes to all A. D.
I would like to say thank you for inviting us once again to the Party in the Swiss Embassy. It was lovely to meet people from over Switzerland and hear their stories. We had a very nice time. Best regards from Mr and Mrs G.
Both my friend R. M. and myself thoroughly enjoyed this year’s Annual Tea Party. The refreshments were delicious, and we appreciated the afternoon’s entertainment and fellowship. It was a delightful surprise to receive the photographic memento of the occasion. Meanwhile I enclose a cheque as a donation from us both. With best wishes to Suzanne M Egloff and yourself, kindest regards from D. H.
Thank you very much for your letter of 3rd July enclosing the lovely photos. We also looked at the website of the Swiss Benevolent Society. The Tea Party on the 14th June was a great success and both my Husband and I enjoyed it really very much. I keep the society in very good memory as I worked there as a secretary for 19 months. Please find enclosed a cheque in aid of the Swiss Benevolent Society. With kind regards, yours sincerely, R. M. B.